SEO-Cart is constantly adding new features that will help you connect with your customers and increase sales. Our newest feature allows your customers to ask questions about your products, right from your product pages. With the Product Q&A enabled on your store you open up a dialogue that will increase consumer confidence for anyone visiting your site. Not only can will customers be able to ask questions, but you can add your own question and answers to create a FAQ sections for any one of your products. Your customers can both ask and answer questions about any of your products. 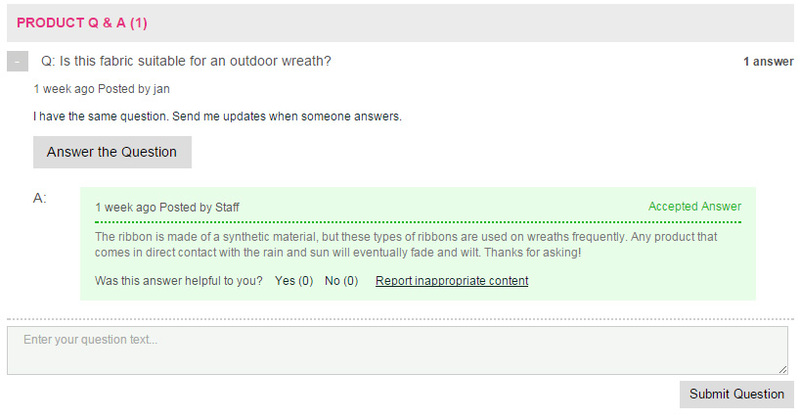 All questions and submitted answers will be set to you for approval before being shown on the product page. Enabling the Product Q&A section increases engagement with your customers and creates a rich experience when they visit your site. When your customers know that you are open to answer any of their questions it creates a personal connection with your company that is often missing in the digital world.